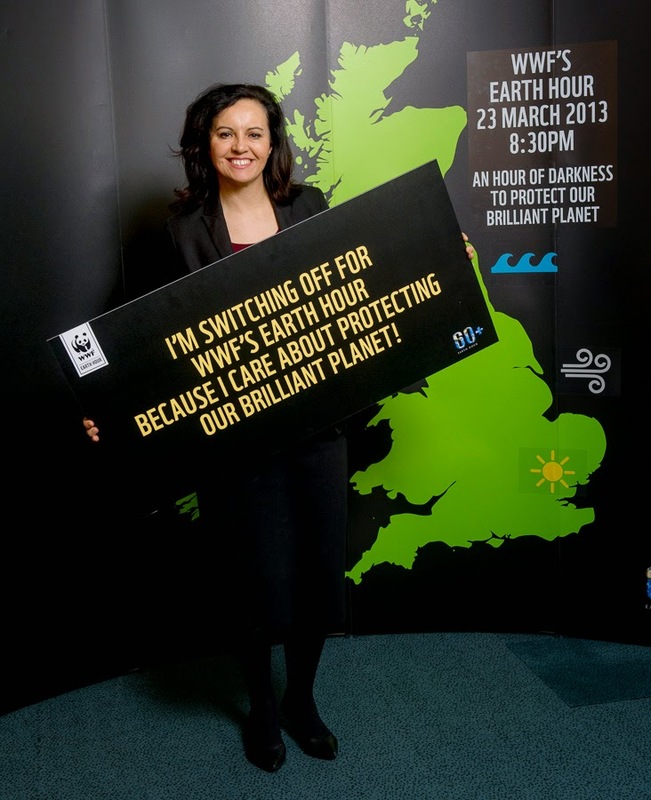 Labour’s shadow Energy and Climate Change minister Caroline Flint showing support for Earth Hour in 2013. Photo credit: wwfunitedkingdom via Flickr. As I previously attacked the main UK political leaders on their failure to discuss climate change in the run up to the election, you might be surprised about what I am about to say. In my opinion, on the 7th of May, the best thing environmentalists and green-minded people can do will be to mark their X for Labour. When I joined Labour at the end of last year, it was not because the party had the perfect environmental policies, but because it is perfectly positioned to develop them. With its fair share of environmental leaders, and with the perfect balance of regulation and supporting businesses, it can make sure the UK plays a leadership role in the crucial Paris climate talks at the end of this year, as well as supporting the surging green economy. Labour has already made some of the green pledges I had hoped for. In their Green Plan, released last week, they pledged to protect onshore wind power and make sure it continues to expand and play a role in new clean-energy capacity in Britain. Under the Tories, subsidies for onshore wind power would end if they were re-elected. Onshore wind is the cheapest form of clean energy technology we have, and to give that up for a few, disgruntled, dinosaur Tory voters is insane. Greens, and by Greens I mean Green Party supporters, love to attack Labour for not wanting to ban fracking outright. But what Labour wants to do on fracking is exactly the right approach. If Labour would move to ban the technology, they would receive the Green Party’s tag of being anti-business. Labour wants to place a moratorium on fracking until a proper scientific review has been conducted (a review that has not been bought by the government but is entirely independent). Greens are claiming the only way to stop a full-scale fracking industry and take-over of the countryside would be to ban it. However, proper regulation of the industry, which the Tories have not offered, would stop any kind of large-scale fracking operation in the UK; it simply would not be worthwhile, and a Labour government would definitely not throw tax break after tax break at the shale gas industry. Shale gas has still not taken off, despite the government having done their utmost with a series of tax breaks and a relaxed regulation system. If we were to introduce a proper regulation system, the industry would be a dead horse. And let’s not forget Ed Miliband’s proven track record on climate change, and the leadership he showed in Copenhagen under COP15. I have no doubt he is determined to show that same leadership again this year and negotiate an ambitious climate treaty in Paris. Britain stands at a crossroad on renewable energy and climate change. The top priority for any government is to create investor confidence in the surging green economy, which now spans over a wide range of technologies, from onshore and offshore wind to tidal and solar power. I have some sympathy for the Greens. Caroline Lucas was a formidable leader and a strong leader on green issues. There is no doubt it is a huge blow that she no longer heads up the party, as no one in her party can better articulate the need for action on climate change. But remember this: if you put your X for the Green Party on May the 7th, the chances of a Tory government that will continue to undermine the green economy and its efforts to tackle climate change, as well as supporting the most polluting industries, only becomes more likely. I would like Labour to do more on the environment, and I would like it to become one of their top priorities, and let’s be fair, at this election, so far it hasn’t. But for this to happen, I believe we need to challenge the party from within, which is why I joined. The more members of the Labour party who care and challenge green issues, the more likely it is that it will become a core Labour policy.